1. Light Therapy: Any treatment for back and neck pain is going to involve the muscles of the back in some way. But if the muscles associated with the back are tense, sore, or in spasm, the treatment will not be as effective. The Dynapro System starts with the application of Light Therapy, which has been cleared by the FDA for the relaxation of muscles. A light pad is placed on top of the affected area for 9 minutes, or for smaller areas, a light probe is used. The light is at the optimum wavelength to deaply penetrate the muscles. Following Light Therapy, your muscles are now more relaxed and ready for the next phase of care, thus ensuring a more effective result. -It takes pressure off of the discs, bone structures, and nerves in the area. This increases the flow of blood and nutrients to the discs and promotes healing. -With increases space, a bulging disc may flow back into the space between the vertebrae where it belongs. -Misaligned joints may see an improvement in alignment, giving them greater mobility. -There is now an increased space for spinal nerves to flow from the spine to other parts of the body. 3. Core-Stabilization Exercises: Once the pain has diminished it is recommended that you begin an exercise program to strengthen supportive core muscles and improve flexibility. This increases flexibility and strength, and lessens the possibility for re-injury in the future. Cleared by the FDA: The DynaPro Spinal Health System has been cleared by the FDA to relieve pain associated with herniated discs, protruding discs, degenerative disc disease, posterior facet syndrome, and sciatica. 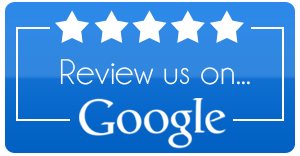 Review Us On Google and Yelp! We love to receive feedback from our patients. Feel free to review us on one of the sites linked below!